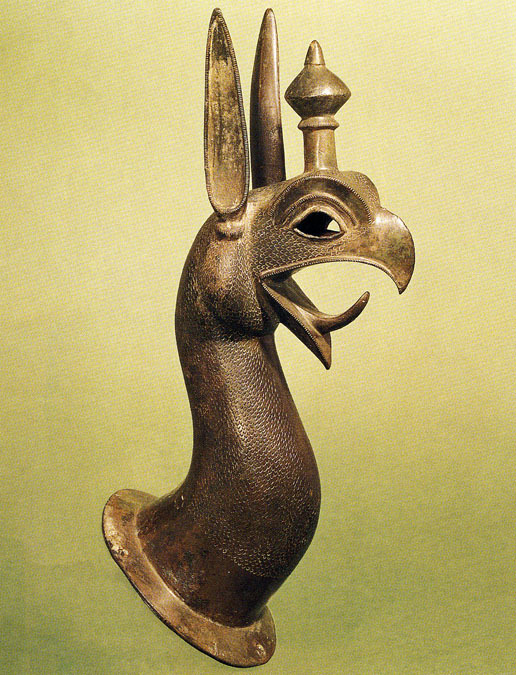 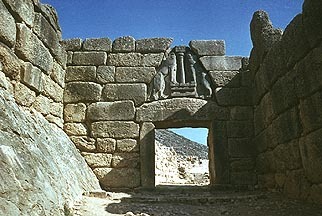 The Lion Gate, Mycenae, c. 1300-1250 BCE. 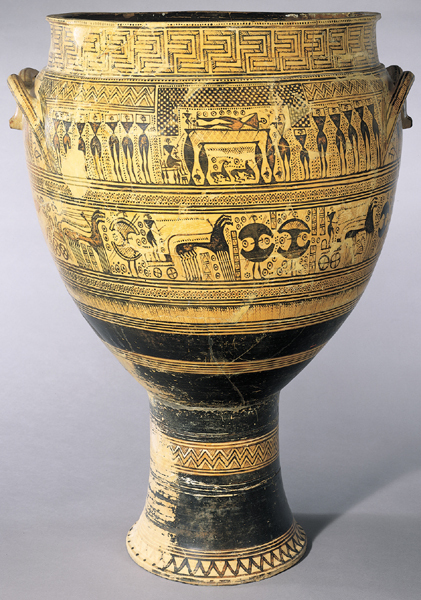 Eleusis Amphora, c. 675 BCE. 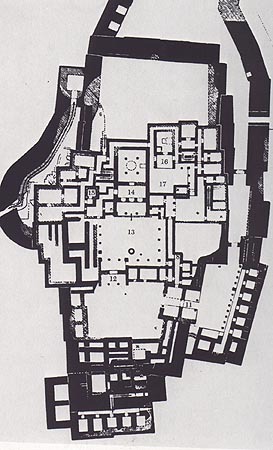 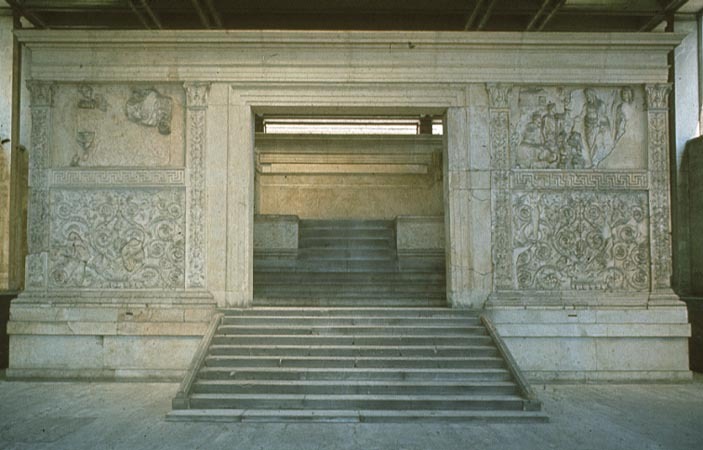 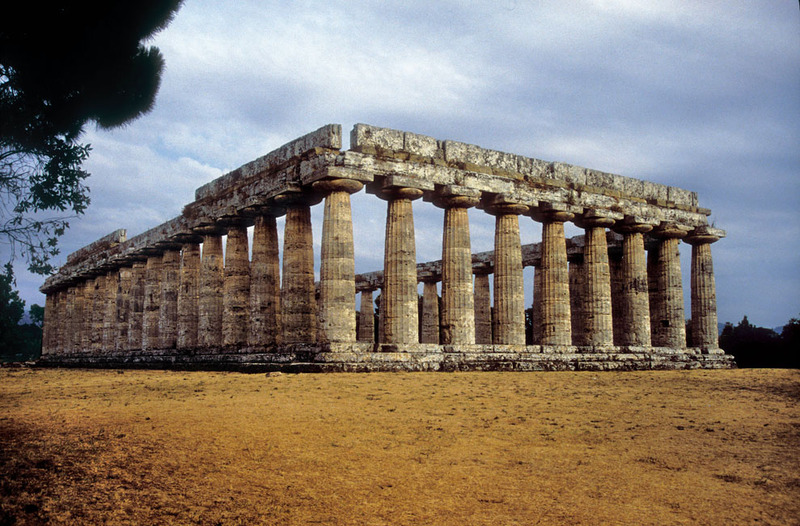 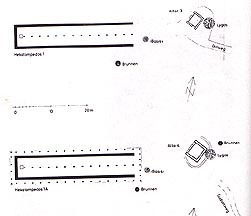 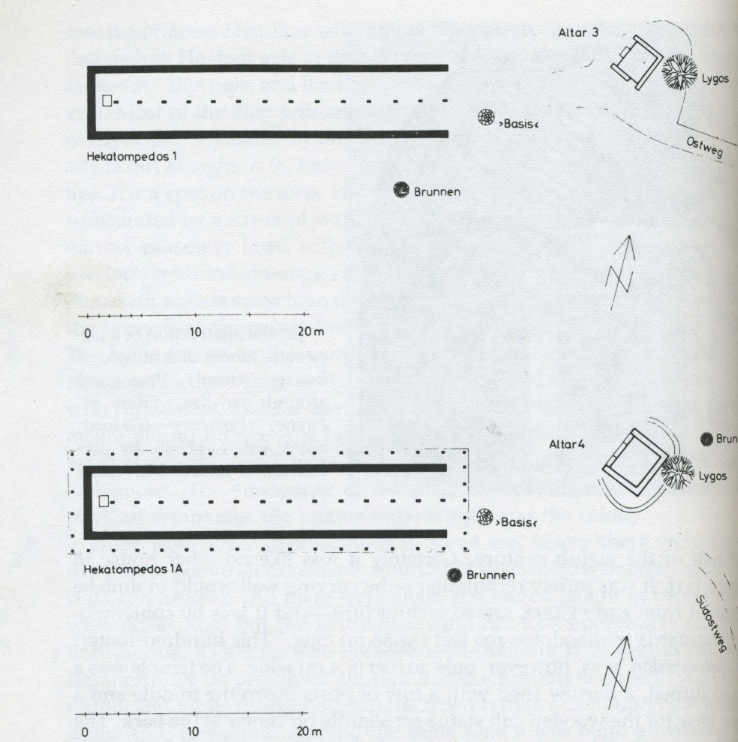 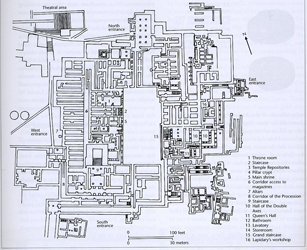 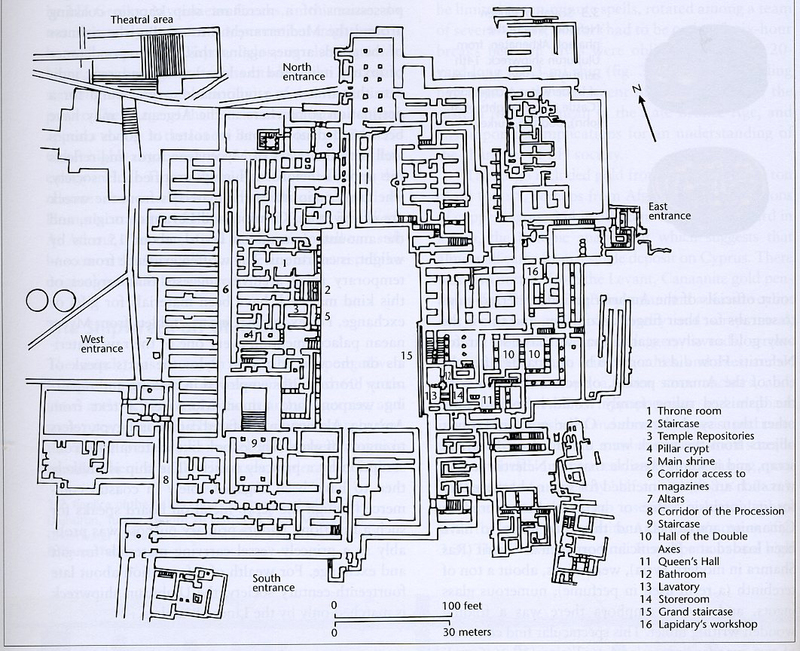 "Basilica" or first temple of Hera at Paestum, c. 550 BCE. 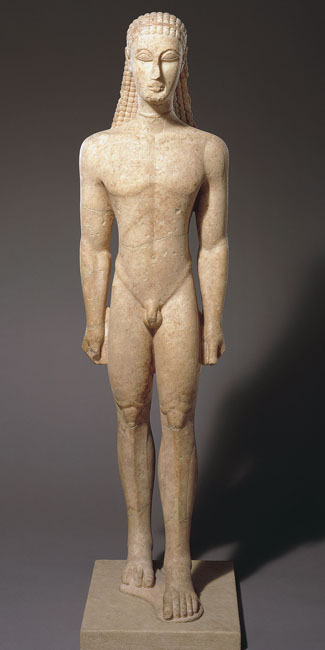 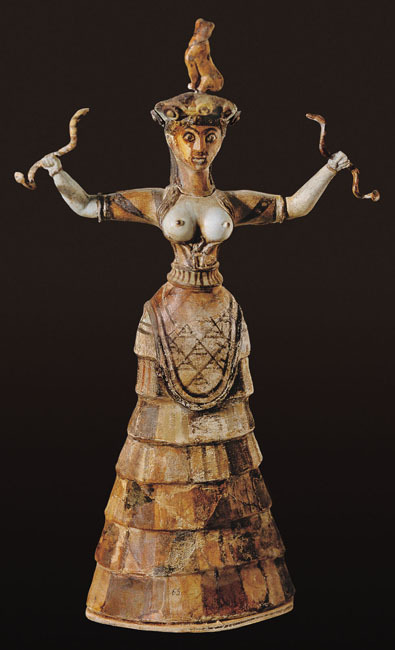 Kroisos or the Anavysos Kouros, c. 530 BCE. 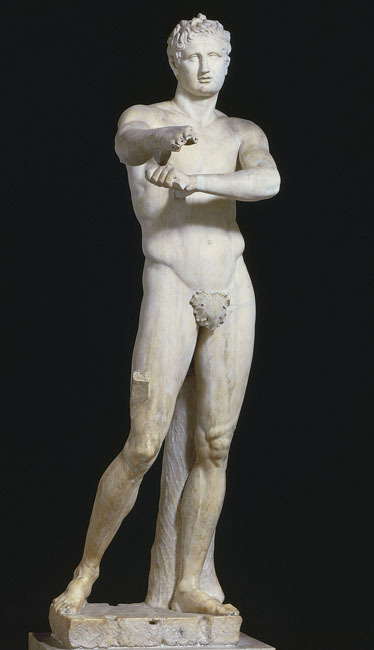 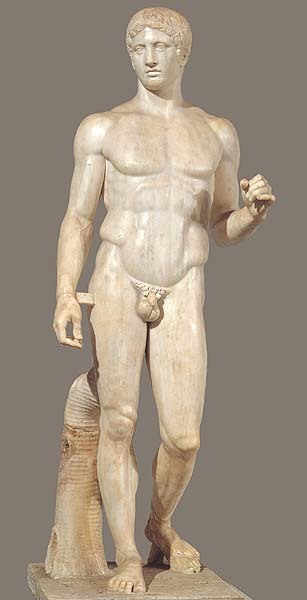 Copy of Polykleitos, Doryphoros (Spear Bearer), c. 450-440 BCE. 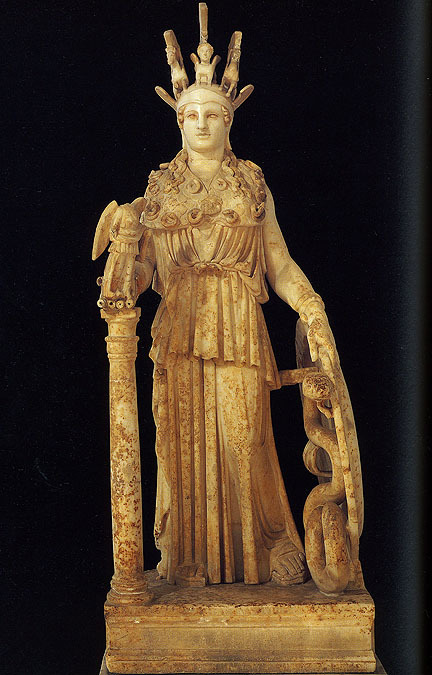 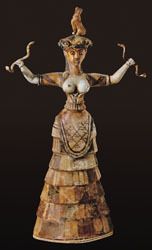 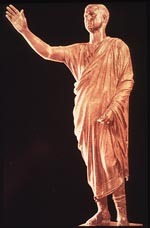 Copy of the Chryselephantine statue of the Athena Parthenos. 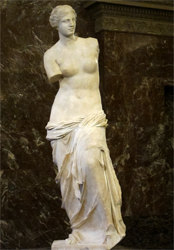 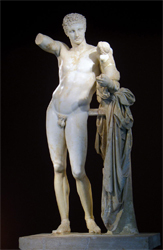 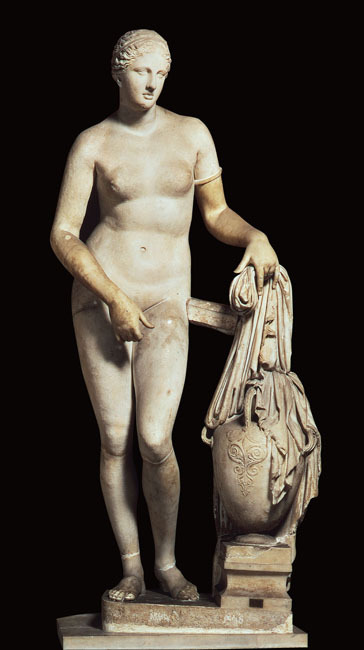 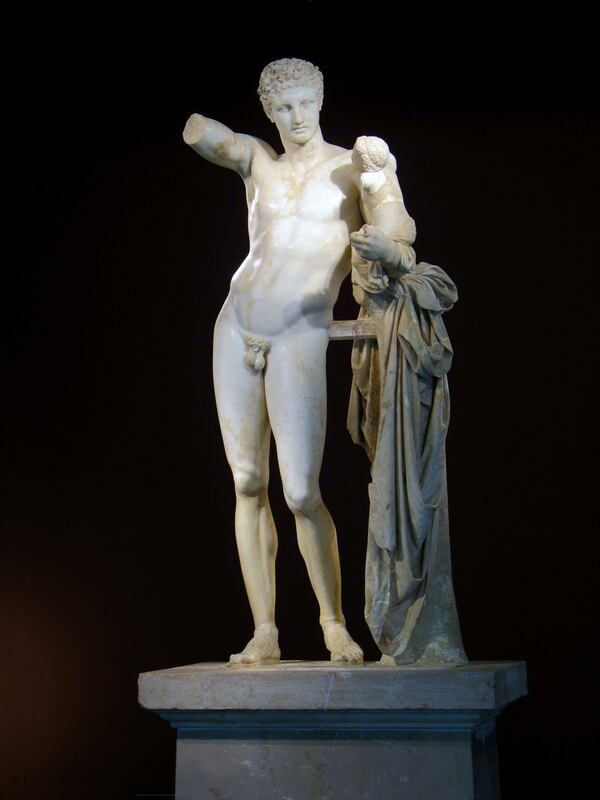 Copy of the Aphrodite of Knidos by Praxiteles, c. 350-340 BCE. 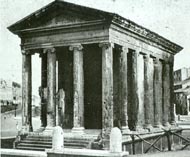 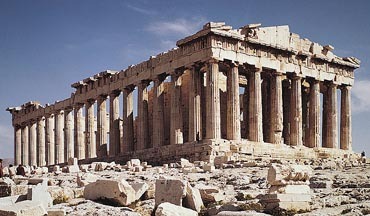 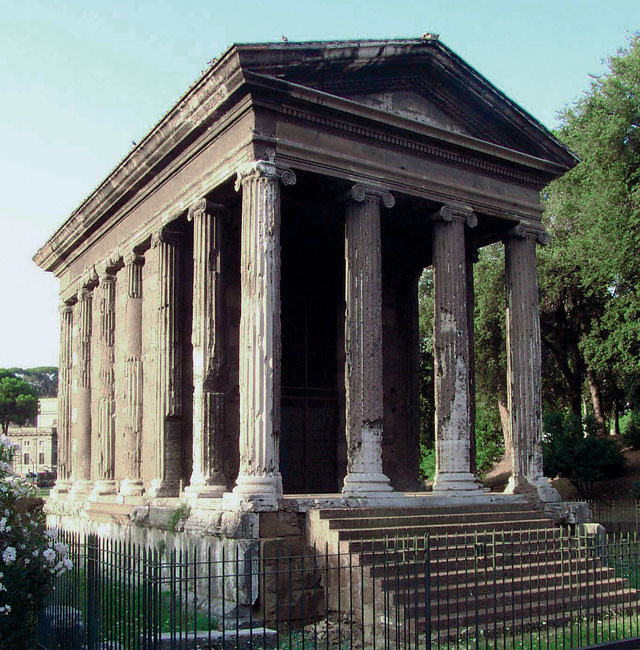 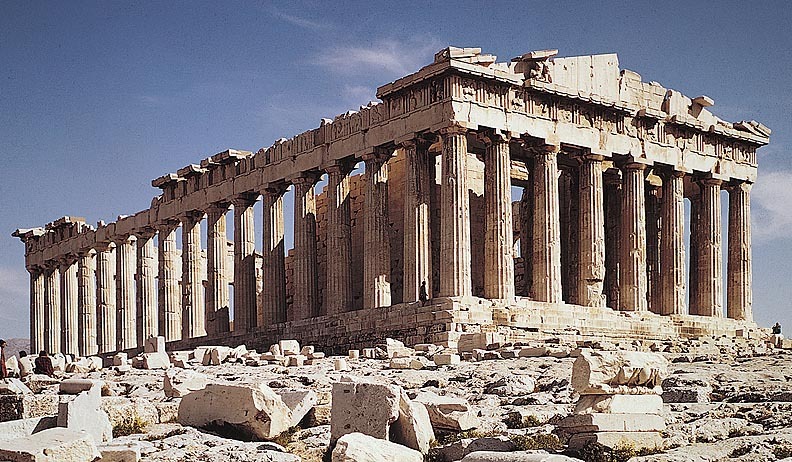 Temple of F[P]ortuna Virilis, c. 75 BCE. 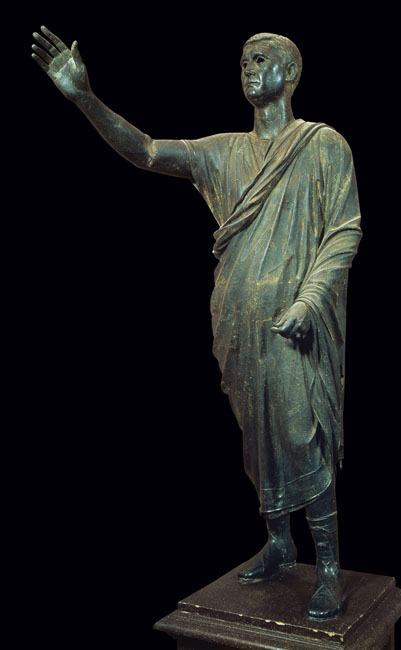 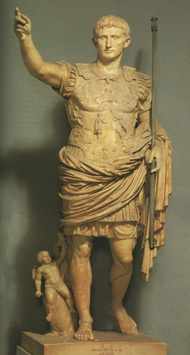 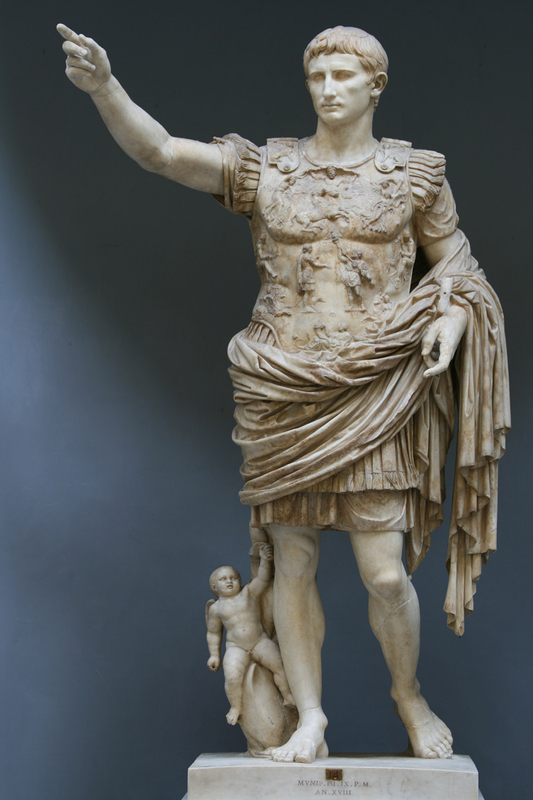 Augustus of Primaporta, 20 BCE-14 CE. 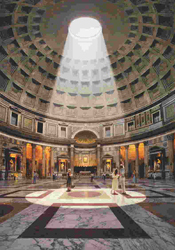 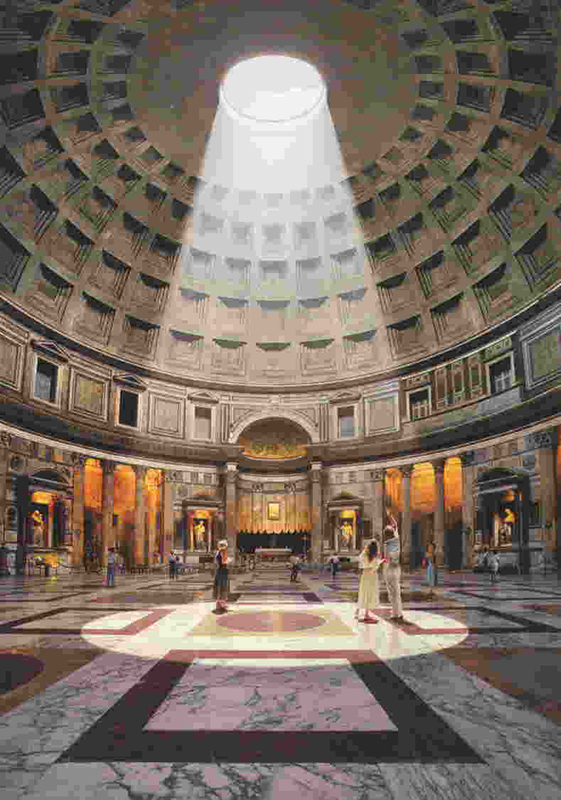 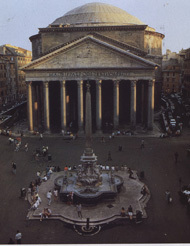 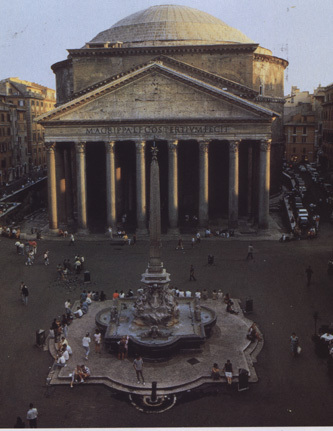 Exterior of the Pantheon, 118-125 CE. 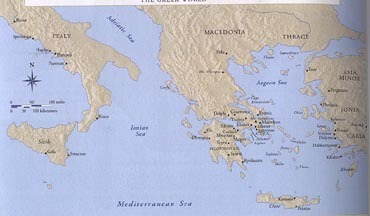 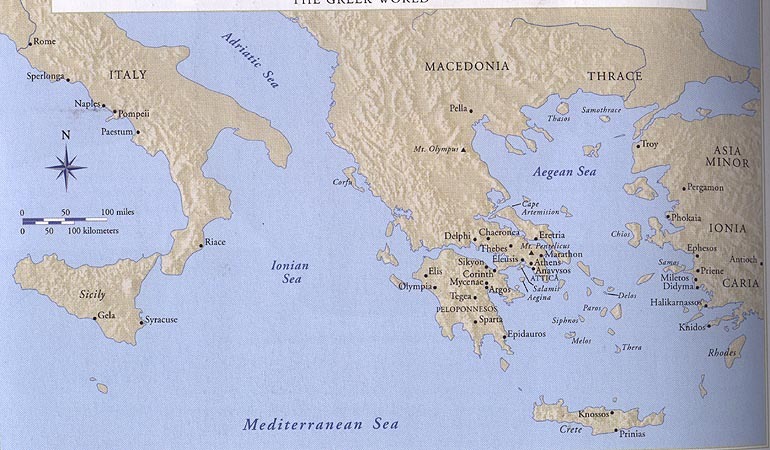 Map of the Greek World. 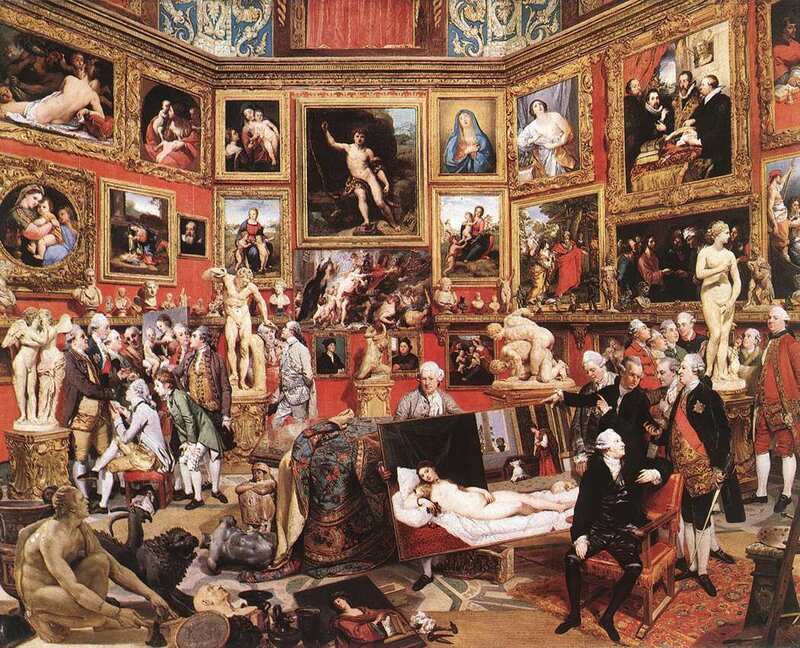 Johann Zoffany, Tribuna of the Uffizi, 1772-78. 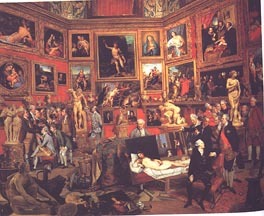 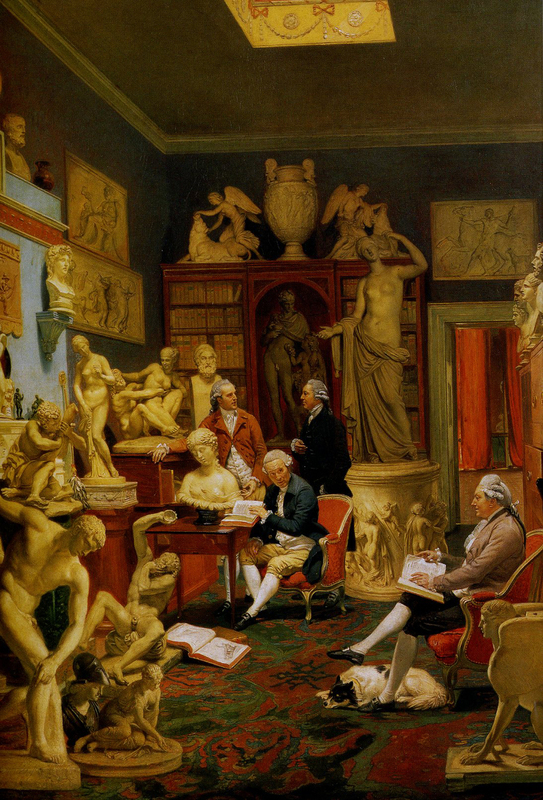 Johann Zoffany, Charles Townley and Friends in his Park Street Gallery, 1781-83. 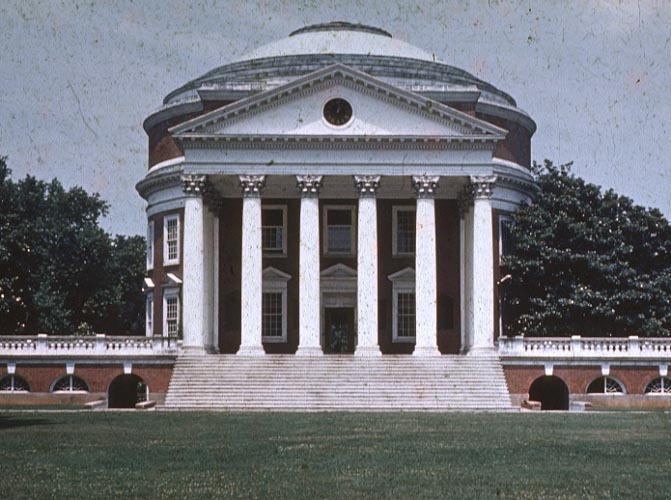 Thomas Jefferson, Rotunda of the University of Virginia. 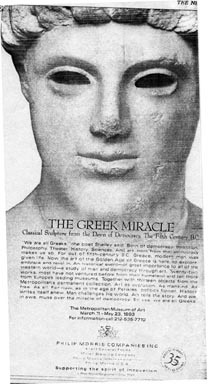 Ad for 1993 The Greek Miracle show at the Metropolitan Museum of Art.